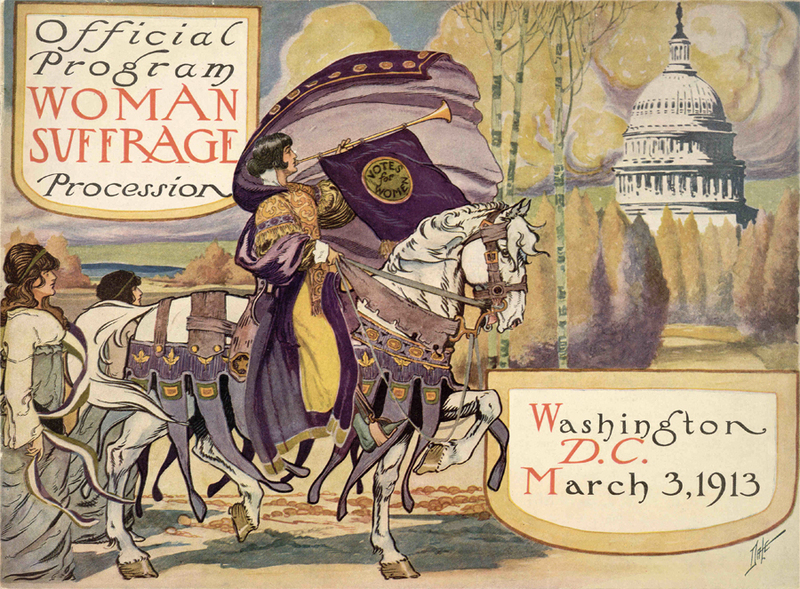 Review the Official Program Woman Suffrage Procession and read the program forward (page 3). What goals for the procession does the forward set? How do the accomplishments of the highlighted women on pages 3 and 4 seem to support those goals? Closely read the first 11 paragraphs of page 4: Why Women Want to Vote. What is the tone of the text? What specific words and phrases support your conclusion? What group of women do you think was the primary audience for this text? What specific words and phrases support your conclusion? Now look at the rest of the text of page 4, which states the reasons why women want to vote. Use those reasons to create a poem to accompany the program cover. The poem may use historical or contemporary language. What other observations, reflections or questions does this source inspire? Let us know!